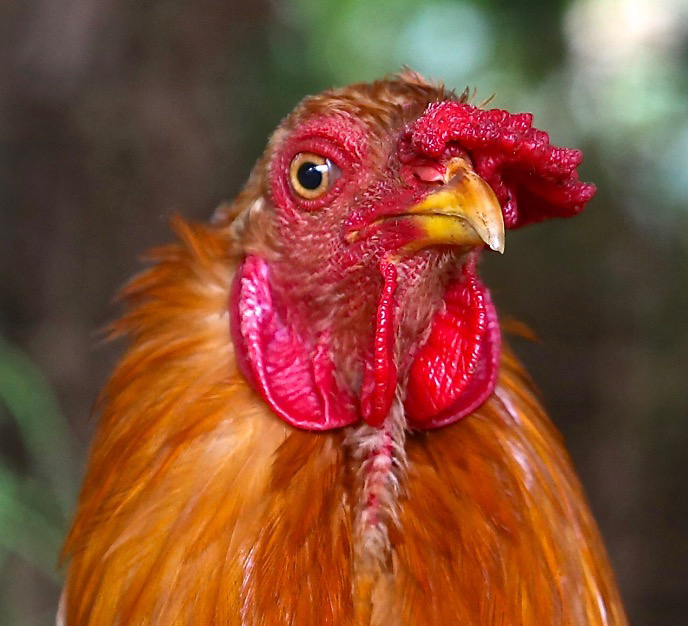 I love tuning in and really listening to the vocalizations of the roosters at Leilani Farm Sanctuary. Their crows are as variable as the colors of a rainbow. They are truly musical! 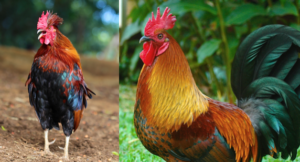 Some roosters have low-pitched voices, others have high-pitched calls, and a few have voices that sound gravelly. Most roosters’ crows are four syllables, but occasionally, we hear three or five syllables. Many sound like they are singing “Happy Birthday.” After so many years of living with roosters nearby, I can actually distinguish each bird by the sound of his voice. I am often asked how I can sleep with roosters going off at all hours. The truth is, to me their crowing is like white noise–I would have difficulty sleeping without this familiar sound.